Ichiban Boshi was actually one of the first places I visited a few years ago when I first got into food blogging and began building my addiction to good ramen. To this day I still consider it to be one of the best in ramen joints in Sydney (along with Ippudo, Menya etc), I believe the strong point for Ichiban is their noodles. This restaurant is constantly busy at night and waits up to 30min or longer are not surprising on Friday or Saturday nights. On this particular visit however, Miss K decided that she wanted to have Katsu Don (or Katsu Ju at Ichiban). 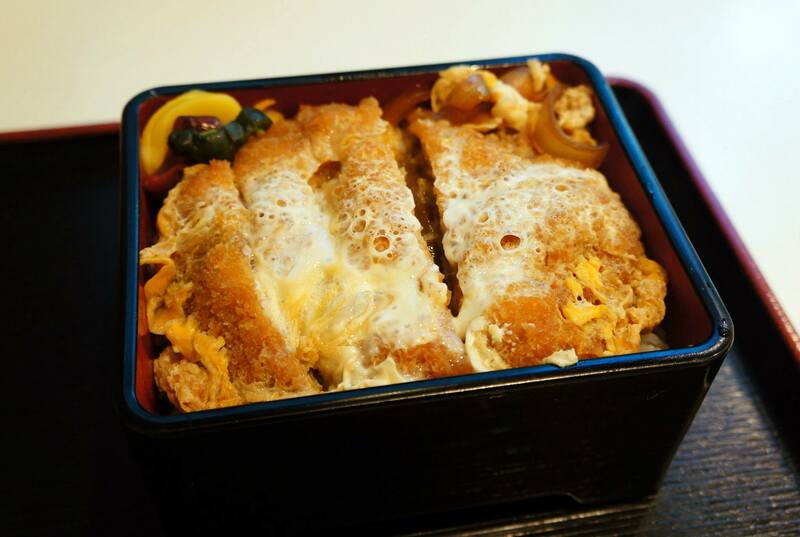 This is actually one of our favourite dishes aside from ramen and consists of rice, onions, fried chicken and egg cracked on top. The combination of ingredients makes a very filling and tasty meal which almost everyone I know has enjoyed even more than the standard teriyaki chicken and rice. One of the interesting things about Ichiban is that they don’t offer Tonokotsu ramen on their permanent menu. 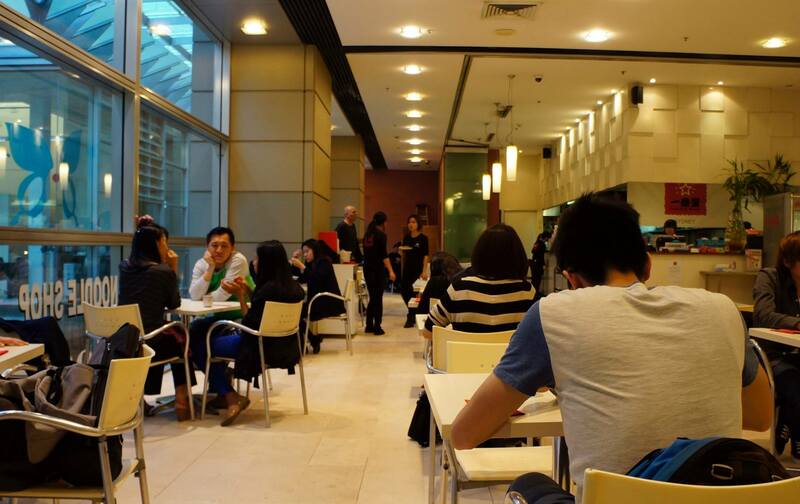 In fact they only make 15 bowls a day and they’re ready to serve from about 2pm onwards. I’ve only managed to get the bowl twice out of the 10+ times I’ve visited and definitely recommend it. 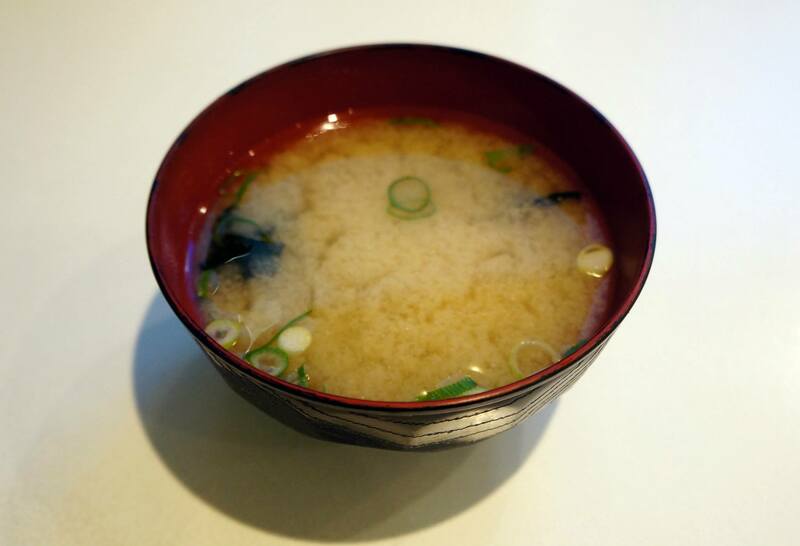 The soup is one of the best Tonkotsu soups in Sydney, not too thick and not too light but still full of flavour. The noodles they use for this soup are a bit thinner as well but taste about the same as the normal ones. Surprisingly enough Miss K and I don’t normally order gyoza or enjoy miso soup all that much. Ichiban is the exception however, we actually love the miso soup here more than anywhere for some reason and the gyoza is a must order every time we visit because it’s just so tasty and a great snack to go with the ramen. Ichiban also has a Bondi store which is a great dinner stop before heading home from Bondi Junction. Generally when I’m in Town Hall and looking for a quick and cheap dinner around $10-15, Ichiban is a great choice as it’s right by the station and Kinokuniya . 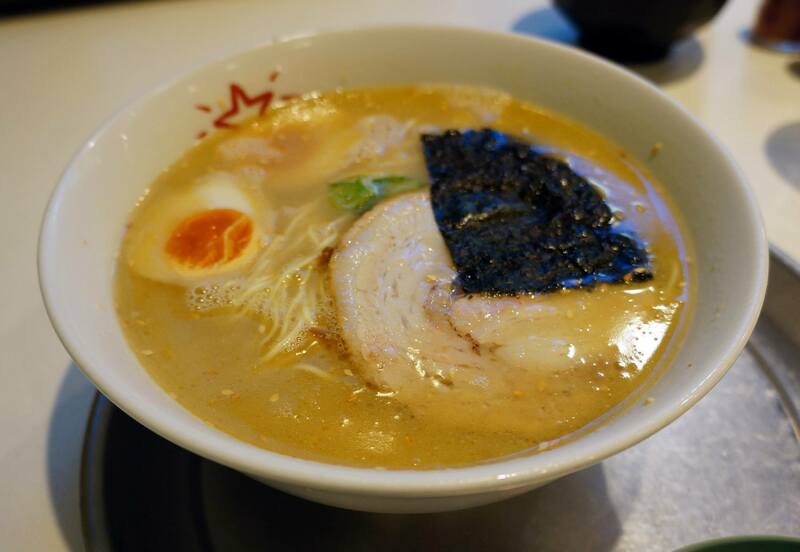 It’s not hard to imagine why the lines get so long when you’ve tried the ramen so give it a go and you might have a new favourite place to visit! Actually you can get it earlier. Most days they have it ready from 12:30 or so. I work across the road and have had it quite a few times. Had it today at 12:35. Delish! I’m not the biggest fan of Gumshara because it’s too thick for my liking. The one here is near perfect in my eyes! 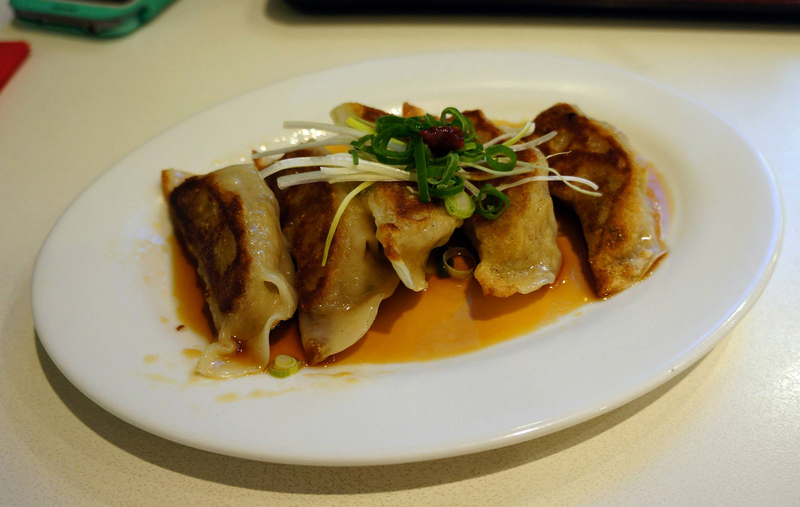 i love the crisp look of those gyoza dumplings. don’t think i’ve tried the tonkotsu ramen but i love their miso ramen so should check this out more often. I’ve never had ramen at Ichiban Boshi surprisingly. Looks like I’ll have to pay them a visit! And only 10 bowls of tonkotsu soup a day? You must’ve felt like you won the lottery when you managed to score a bowl! I always love a good Tonkotsu ramen, they have a little notice on the table if it’s available!